I want to thank you and ALL of your staff at Prolean Wellness for providing such a supportive and professional program to help others lose weight as well as to learn how to maintain a healthy lifestyle. I went through a different HCG program a couple of years ago. I was successful in losing 75 pounds in 4 months. I maintained the weight off for several months, then slowly gained it all back plus a few pounds. Having gone through that program I knew I could do it again, but how would this time be different? I saw your program offered on Channel 3’s “Your Life A-Z”. I was very impressed with what I saw. I was drawn to what you had to offer but did not respond right away. First of all, I was concerned about the expense. Second, I just was not emotionally ready to proceed. I continued to gain weight. I reached my largest pant size. I became afraid to wash my jeans in fear that they would shrink and that I would not have anything to wear to work the next day. My health problems returned. My blood pressure got out of control again, I would get out of breath extremely easy, and my energy level was so low I had thoughts of having to be disabled from work. After “enough is enough” I decided to call you, at least to pursue my options with your program. I felt very comfortable with you from the beginning. I was impressed with all of the services that Prolean Wellness had to offer. I made the decision to start right away. Not only did you offer your professional counseling, you have the medical follow up as well as nutritional consultations. Your testing procedures are beyond expectation and they allow your staff to individualize the RIGHT program to meet my needs. Through your individual plan for me, not only was I able to eat twice the amount of meals per day from my previous program, I was also able to eat more calories and choices of food. That helped make my adventure more realistic and enjoyable. I was really impressed with you a few weeks ago when struggling with the decision to proceed with another round of HCG now or wait until after the holidays. You guided me that I am the one who knows best what I need and when the best time to proceed would be. Part of me wanted to continue to learn the boundaries of my new eating habits. Another part of me wanted to proceed to get the remaining weight that I wanted to lose off. I thought about it for a couple of weeks and am now going through the second round of HCG with you. I have lost over 60 pounds and rapidly reaching my goal. My blood pressure is under control, I can breathe normally, and I have energy. I feel much better about myself and now encourage others that they too can get healthy and accomplish their goals. Thank you and your amazing staff for all that you have done and continue to do for me. Your program and all of the personal attention from each staff member has helped change my life for the better. I’m happy to share my story! I am a 48 year old female. I have Syndrome X, Insulin Resistance and PCOS. Three strikes against my efforts in trying to reach and maintain a healthy weight. On top of that, I am restricted in my mobility due to a 60% loss of my quadricep muscle as a result of an accident, so exercise is restricted. I have been “thin” my whole life but found myself gaining weight since my mid thirties. I tried several different common diet programs which either left me gaining more weight or simply just maintaining, with no weight loss. I am not a “big” eater, I am not a snacker, I do not have any food addictions…other than unsweetened iced tea. I was diagnosed with the three conditions about nine years ago, was given different drugs to help, was taken off the drugs because they were not helping or because the doctors didn’t think I needed them any longer. I even followed a “healthy” diet of the “food pyramid”, snacking on veggies. And the whole time, I have continued to gain weight (over 80lbs in 9 years). After discussing several of the HcG diets that are available with several friends who have participated in different programs, I knew that the very restricted diets with very low calories was probably not for me. I know this had to be something I could continue to do for the rest of my life. It wasn’t just about loosing weight, it was about loosing it and maintaining a healthy weight. I needed a program that didn’t fit 99.9% of the population, but was “customized” to what my body was doing and how it was responding to food. The week of my 48th birthday, I was home getting ready to go to a birthday lunch with a friend when I heard about Prolean Wellness on channel 3 (Your Life A to Z). The segment caught my attention when they said that the programs are tailored to the individual. I had already scheduled a few consultations with other HcG providers and found that I was either annoyed at their persistence in selling their products and supplements or seemed more focused on getting the weight off and “worrying about maintaining it later”. I made an appointment with Prolean Wellness and met with Jeff. He presented the “facts” to me. I did not feel as though anything was being “hidden”. There were no high pressure sales pitches which portrayed a great trust and belief in the Prolean Wellness program. The program itself seemed very comprehensive and even provided a nutritionist as well as a maintenance portion to the program. I joined! I started the program on Wednesday June 16th. I write to you today on Wednesday July 14th, 24lbs lighter! I am amazed at the results to date and have a positive outlook about the remaining 8 weeks of the program. I am a little anxious about the maintenance program but will take it day-by-day and I know Dr. Burns and her staff will be there to support me as I face any challenges. When I made the call to Prolean Wellness, I was gaining weight no matter how much I ate or exercised; I was exhausted, always cold, and just felt lousy. I suspected this was due to my hypothyroidism, but I had given up hope because I could not get a doctor to listen to me. But then I met Dr. Melenie Dunn! After studying my extensive blood test results, she explained why I felt so crummy! I was excited to begin this journey with her medical guidance, and I have not been disappointed. Besides losing weight, most importantly I now have energy, feel fantastic, and continue to water ski. Meghan Doherty, Nutritionist and Fitness Instructor, designed an eating and fitness plan for my body based on my blood test and iDXA scan results. 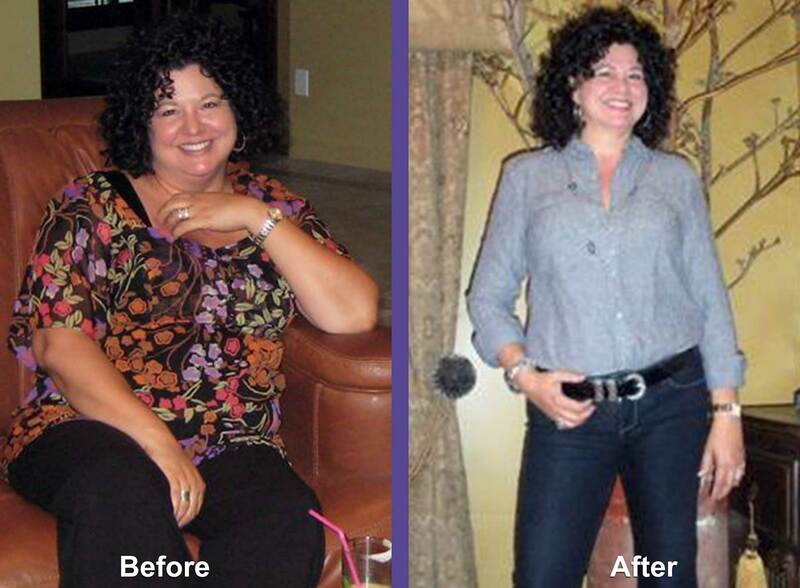 Her plan was easy to follow, I ate real food, I was never hungry, and the weight and inches slipped away. Since I was traveling, Meghan called weekly with encouragement and kept me motivated and on track. If you are longing to become healthier, I highly recommend Prolean Wellness. The staff all offer encouragement, are focused on your success, and welcome you with open arms. A very loving family atmosphere! Just do it! PROLEAN WELLNESS SAVED MY LIFE! I am feeling great without pain from IBS and Acid Reflux. I am down 32 pounds of weight and I owe it all to the Prolean Wellness Staff and program. They are amazing people. In 12 weeks, they were able to figure out a health plan for me that changed my body. I can eat more food and have lost weight doing so. I haven’t felt this good in a very long time. Because… you might be a person like me. I am a female in my 50’s, trying to conquer the effects of menopause. It seemed that everything I ate went directly to a growing belly area. I was on South beach diet (really not a diet, but an eating style). I exercised 3 times a week. I was so frustrated with my growing belly. I had gained about ten pounds in 1 ½ years. I went to doctors to see if they could help me. NO ONE was able to put a good plan together for me. I couldn’t get any REAL answers. The doctors ran a lot of tests, but did not give me any real help. All I can tell you is that Prolean Wellness put a program together just for me and it worked better than I thought it ever could. They put a comprehensive program together for you. You work with a naturopathic doctor to make sure your blood work and hormones are in the optimal ranges. You also work with a nutritionist and have weekly planning assistance from the very knowledgeable staff members that are always cheery and ready to help you. You also work with the personal trainer to exercise and learn the appropriate exercises for your body. Consider doing some research of your own. Make phone calls to people that have been through the program. Call Jeff Dana at Prolean Wellness to find out more about the program. You will be happy you did. Each program is tailored for the individual and this is KEY for a happy recovery and happy life! IF IT DID NOT HAPPEN TO ME I WOULD NOT HAVE BELIEVED IT! With each of my pregnancies I like most ladies retained about 10 lbs, 2 children = 20 lbs. Later in life I was diagnosed with hypoglycemia, my directions were to eat plenty of protein and eat every two hours, netted me another 10lbs. How did this happen to me, my usual weight was 115 and I’m 5’9″. Then as I was viewing AZ TV 3, Its Your Life segment I was introduced to the HCG program. One week later, 95 miles from home, I visited Prolean Wellness and enrolled immediately, WHY, because finally there was a program that made sense! I began the program with a 700 calorie diet. I saw results in the 1st week and remarkable differences not only in my weight but in my overall health as I completed the 1st phase, six weeks, with a 17lb loss, a size smaller and a flat stomach. WOW! The next two phases were a breeze, did not miss a thing, loved being able to exercise and see the results multiply. My goal was to lose 20 lbs I have now lost and retained a loss of 30 lbs. The program changed my lifestyle and my weight forever. I highly recommend Prolean Wellness Program and commend their staff and professionals who supported me through this process. I walked into the consultation with some scepticism not knowing what to expect, but after a few minutes listening to Jeff, I quickly got the feeling that they knew exactly what they were doing. He explained in detail how this program works and before the consultation was over, I was fully convinced that this was exactly what I was looking for. The plan was very well organized and executed and the results reflect its effectiveness. Everyone on the staff was very professional, helpful and friendly and did their job exceedingly well. I can only say that I am totally satisfied by the experience and my new lifestyle. Thanks to everyone for helping me through this process. I cannot even begin to express how I feel today. I am such a different person than I was just a short 12 weeks ago. I have been given my life back. I saw Jeff Dana from Prolean Wellness Systems on TV and really listened to what he was saying about his own situation and it just hit home. Everything he was saying was exactly what was happening to me now. It hit me like a ton of bricks. I had a very long talk with myself and wondered if I was willing to take a leap and try again. I figured what did I have to lose if I just went and listened to what he had to say. When I first met the Prolean team, I was so frustrated and so angry at myself. I didn’t know what else to do. I had tried so many “diet” plans and of course, had failed again and again. I was so very unhappy with myself and how I had let myself become. I didn’t even want to look at myself in the mirror and I would not let my husband see me without clothes on. I was so embarrassed and humiliated. I knew if I did not do something soon I wouldn’t be here to see my grandson grow up. I had given up on myself. Well well well….here I am today! What a life changing experience. I cannot tell you how much I have learned. It is not about losing the weight! You learn all about yourself and how to live a happy, healthy lifestyle. Everyone is so helpful and they genuinely care about you and your success. I can be happy every day now. I feel fabulous and I have more energy than I did 10 years ago. I can get up each day and face it with joy and hope. I no longer fear food. I love that I can EAT AND BE HAPPY. I eat more now than I ever dreamed you could. It is with my deepest thanks to the staff at Prolean: Jeff, Elaine, Brenda, and Tiffiany for showing me how to live again and for supporting me thru my transition to my NEW LIFE! What can I say besides THANK YOU! 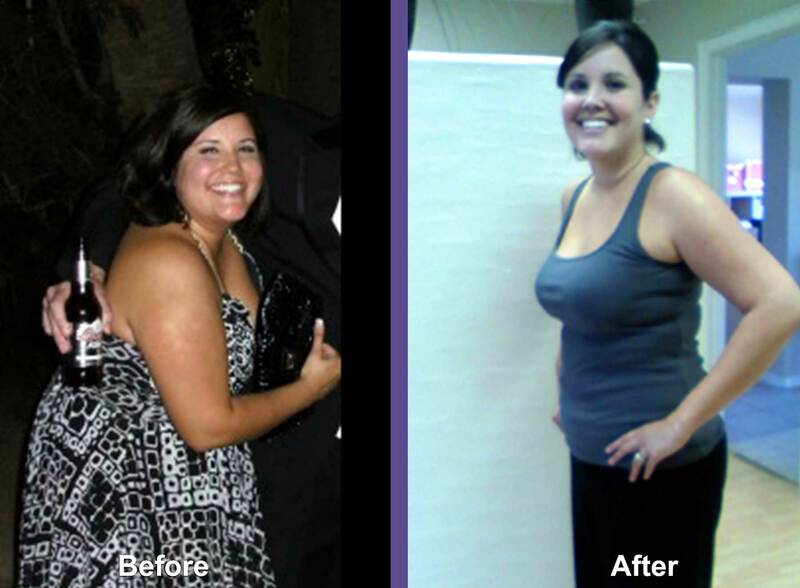 When I was mentally prepared to lose weight, I called you for advice and was blown away by your program. From our initial conversation to my first scan, followed by my meeting with Dr. Burns and receiving my nutritional program from Brenda….I was always impressed. My weekly weigh-ins with Tiffiny were always valuable and upbeat. She helped keep me motivated for my next week’s visit. 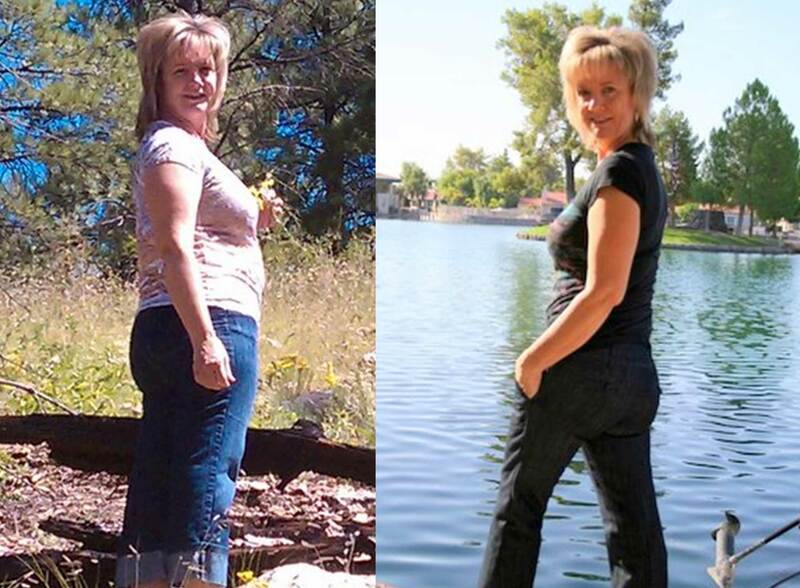 Your program…which I refer to as my “lifestyle change” has allowed me to lose 50+ pounds! Not only have I lost the weight but I have successfully changed my habits for the better. Jeff, the Prolean Program is second to none! I have started many weight loss journeys only to fail. Once you fail the process, it starts all over again. What a disappointment. Once again you gain your weight back and most of the time it is more. I heard of ProLean and thought it was something I would like to find out about. I met with Jeff and was excited with everything that he told me about. So I decided to give it a try. At the start I weighed 256.6lbs, diabetic (on 2 different kinds of medicine) and high blood pressure controlled again by medicine. At the conclusion of all three phases I am pleased to say that I lost 30lbs, 40 inches and off of 1 ½ of my diabetic medicine and half of my blood pressure medicine. I have started the program over again and have lost 7 more lbs. Also within the next month, my doctor feels that I will be off all diabetic and blood pressure medicine. What a thrill. I feel so great which I have not felt in many years and excited for the future which has not always been the case. I am very satisfied with the Prolean weight reduction program. The scientific, nutritional and personal approach worked well for me. Especially the body scan and the blood panel as a diagnostic tool provided the foundation for what my body needed to ensure weight reduction (fat) with no loss of lean body mass. I liked the structured way in which I knew exactly the amount and type of food to eat. It also provided the necessary information to support my body during weight reduction as well as correct deficiencies and build optimal wellness. As a person I require good relationships to accomplish my goals. The staff provided this for me, competently and professionally. Melenie, the physician is very well versed and competent in her field and gave me the confidence needed to follow through on her recommendations. The weekly check in/weigh was essential to keeping me focused and on track. Meghan’s nutritional knowledge is spectacular. The friendly professional presence of the staff re-enforced for me each time I came to the office…that I was in good hands. Prolean is crafted in such a way that one can be confident that they can become healthier and gain a greater sense of well-being through this program. The needs of body mind and spirit integrated into the plan supported me in exceeding my goal. I was going for 25 pound weight reduction and I achieved 29. I especially liked my introduction to the program with Jeff, no hard sell. Just the facts of what the program could provide with information that gave me a picture of a tried and true successful program by his and Celeste’s achievements in a health and healthy life style. A huge thank you to all the staff, Jeff, Celeste, Melenie, Meghan and Maria. I am a new mom (my son Sasha was born in July 2004) who has gotten back my pre-baby body and better – body fat % ~ 19% (pre-baby was 21%). I did achieve my goal of 33 pounds loss (actually I over-achieved it and dropped 35 pounds in Feb 2010), but after lengthy trip to India in May-June this year I put on a couple of pounds and right now at 30 pounds loss – since Sept 2009 – and able to sustain it. I’d say I have achieved my weight loss goal, even though I am working daily to get to my 33 :). And of course, there is “no silver bullet” – I am using exercise to tone and lean my body! I struggled for awhile – after the birth of my son – that I couldn’t get into my pre-pregnancy clothes… But no diet or exercise would “move the needle” enough to show any weight loss. It was getting so frustrating and at the same time – demotivating. Then we went on beach-vacation last summer (2009) and I saw my pictures on the camera on the 1st day there… Oh, Goodness – I was not showing any of my bathing suit body after that day at all… I got really upset and told my husband that it is becoming a subject of my depression. Shortly after he mentioned to me that someone in his office visually lost weight and he said it was with HCG. So, being a “Finance person”, I set at the computer and did my “homework”: reseached all I could fing about HCG, read up about several providers, talked to most of them on the phone and visited couple in person. Then I made my choice of one of them – Prolean Wellness – and joined the program in Sept 2009. Don’t be fooled – it is a lot of work but it SO WORTH IT! By Nov 2009 I was 23 pounds lighter!!! Watching my food intake and light-to-moderately exercising! Yes, I finally got enough energy, and now motivation, to exercise for fun!!! 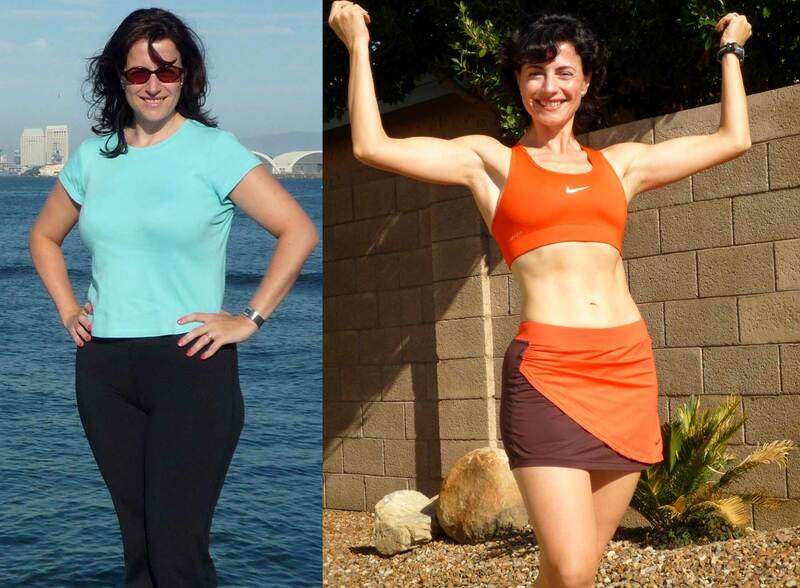 I was off the program by mid-Dec 2009, but made change in my diet permanently and exercising – part of my normal routine. By Feb 2010 I was 116 pounds (from 149 pounds in Sept) – 33 pounds in 6 months!!! I got 6-pack ???? and when I exercise at the gym I see sometimes that even men are jealous ???? Prolean Wellness hand-held me through and after my program. I did several DXA scans throughout and after the program to see my fat (not muscle) loss – going from 36% body fat to 20%… what could be more motivational! I didn’t know about LIVESTRONG.com at that time (I wish I would – it definitely would add to my success) and was using caloreking.com to check on my food intake (not very user-friendly tool though). Then in May, right before my trip to India, I asked my HCG dietician if there is any tool which would help me when I am away from home – to be able still watching what I eat and so on… and she said “try MyPlate” .. That is how I fould LIVESTRONG.com and I swear – I do not miss a day to record my food / exercises and read up on new things to do. Time!! Time commitment is everything: find time for exerising!, time for cooking meals from scratch (to minimize Sodium and Fat intake) for the family, and with all that – time to SLEEP enough – to keep stress level low to allow for weight loss!! So, I’d say – you have to become very good at time management! ???? Do it for yourself (!!! ), not someone else (goals “for wedding day”, “for graduation”, for “dating” are not sustainable and you will regret it after all). And find something in the process to be able to enjoy it! When I feel that I am too tired to exercise, I tell myself “OK, I’ll just walk for 10min …” So, I put my MP3 player music into my ears to step outside – make sure you have your favorite songs on: which make you smile, energetic, makes you to “smell the roses on the path of life”… And you’ll see, the plan of “just walking for 10min” turns into full 40-60min of fast walk (or like for me today – run of 4.3 miles). You come home happier, re-energized and .. with new motivation in mind. LOVE YOURSELF for YOURSELF!! No matter what others say – be your own critic. Make your goals achievable and sustainable: if there is no way you can sustain exercising 6 times a week – do not make it part of your weight loss period: you will get disappointed after you finish that “period” watching weight coming back. So start with small goals and those you know can become part of your new life!! It will make a big difference! I wanted to thank you for all that you’ve done for me. By being honest and true to yourself you’ve not only helped me but so many others. You’ve been a success with your personal weight loss and lives, which has been instrumental in helping so many others find their success. You’ve created a phenomenal program and staff that addresses not only weight loss but the whole person and lifestyle. From your knowledgeable and friendly staff that included and addressed my physical, mental, and medical health to your genuine wish and encouragement and want to see your clients succeed. I was really nervous about the weigh ins at first but quickly began to enjoy and look forward to them, not only because I was seeing success in losing weight, but because you and your staff were so willing to celebrate and encourage me on my journey. Not to mention your willingness to answer every question I had along the way. I came to you a busy mom of six kids, who had gained more weight than I was able to lose. I was tired and depressed and needed a plan that would keep me accountable and allow me to succeed. I was willing to commit myself, I just needed the right plan for me. I was pleasantly surprised by how quickly I saw results. I lost a total of 40 lbs. and was most excited when I went from a size 14 to a size 4. in only 4 months. Thank you! Thank you for teaching me how to change my life. This is not a diet for me, it is simply a change in how I treat my body to live a healthy lifestyle. 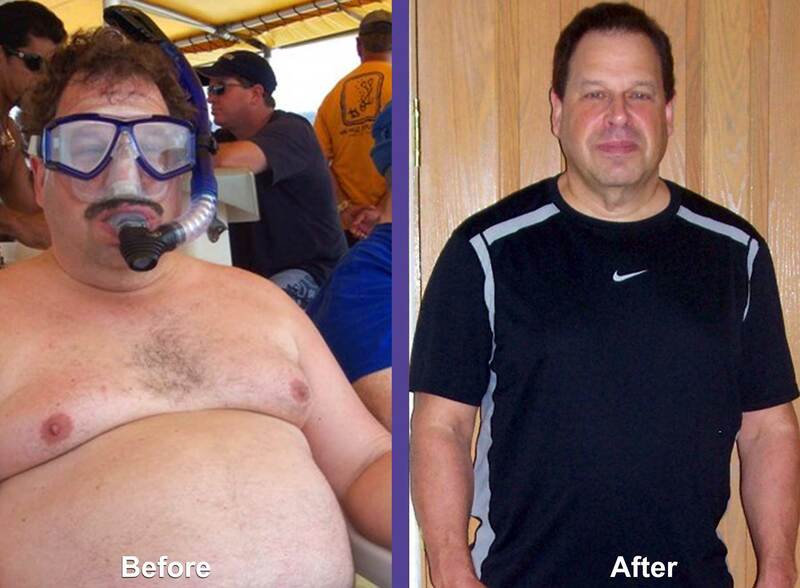 Your program gave me a plan to go by to stay healthy for life. I would recommend “Prolean Wellness” to anyone who is ready to change their life. If I can do it, anyone who is ready to fit into those skinny jeans can do it too! I started out a skeptic…I am a surgeon for God’s sake!I have put in my time setting goals and achieving them.But somehow I had reached a critical mass of unhealthiness that I could not pull myself out of. I am not talking about just weight, but well being that comes with proper nutrition. I tried dieting.I thought I had the skills to do it on my own. But I did not.I even had performed bariatric operations on people and watched THEM fail for no good reason. (SSSHHH don’t tell anyone)You guys taught me what that reason was: nutrition. No, they do not teach that in medical school. The first time I met with Jeff I knew that this was the place that was going to provide me with the comprehensive knowledge that I needed to become the person that I wanted to be. What I have learned most importantly is how everything is intricately tied to what you put in your body. The most valuable time I spent in the program was with the nutritionist.In addition the instructional material was excellent. Keeping the food log was critical to me discovering that my choices in food, while well intended, were based on media and advertising knowledge of nutrition. Learning WHAT to eat completely changed me from a person with mood swings, phases of intense hunger and binging on the filling carbs to a where I am now. I have not been in as I have had a busy schedule in and out of town but I wanted you guys to know that I feel GREAT! I did not fall off the wagon at all. My diet is essentially phase III and I work out almost every day and most importantly I feel like my happiness set point is righted, if that makes sense. I LOVE the vitamins that you guys sell, the protein shakes are delicious and I am currently obsessed with the mitochondrial supplements. So, hope to see you soon as I plan on coming in for a Dexa scan at some point and certainly will be shopping! My “before” and “after” photos tell the story. Prior to my starting on Prolean’s hCG program my weight had spiraled out of control, affecting both my health and self-image. I knew deep down I needed to make a change, but I also knew that I had failed at several other diet programs before. Although I was skeptical at first, I did my research and finally decided to try the Pro Lean hCG program. The clincher was witnessing firsthand how my boss had shed about 35 pounds on it. He assured me that the program was easy to follow, that I wouldn’t go hungry during it, and that if he could do it, anyone could. Well, he was right on all accounts! After 12 weeks on the Elite Program I shed my goal pounds, and I can honestly say that I look better and feel healthier than I have in at least 10 years. I owe my success to the validity of the hCG program as a whole and also the entire staff at Pro Lean. They had my back every step of the way and were sincerely invested in my success. I would recommend them to anyone, and in fact have convinced my best friend to start the program too. You and your staff are the “Real Deal” for effective and sustainable weight loss. All of my expectations were exceeded in your twelve week program. My 42 pound weight loss is terrfiic, but the 30% loss in body fat was an unexpected bonus. Approximately five years ago my physician diagnosed a numbness in my feet as nerve damage known as neuropathy. The condition has no cure or treatment and was thought to be irreversible. Over the years my condition became more pronounced and progressed to my hands. Since begining the Prolean Wellness program 99% of my feeling has been restored. I say, “Wow”! I have participated in numerous other weight loss programs, but none can compare to my extraordinary experience with your company and staff. I enthusiastically recommend Prolean Wellness for those individuals seeking a healthy way to lose weight. As a former “leader” in a different program, I just wanted to note that it took me over a year to lose 14 lbs. This program has helped me understand WHAT to do, WHEN to do it, and HOW to do it. The staff here have become friends – they want me to succeed and given me the tools to reach goals that I can and will apply for the rest of my life. I have lost 26 lbs in 12 weeks! Thank you Prolean for helping me to realize…I CAN DO IT!!! 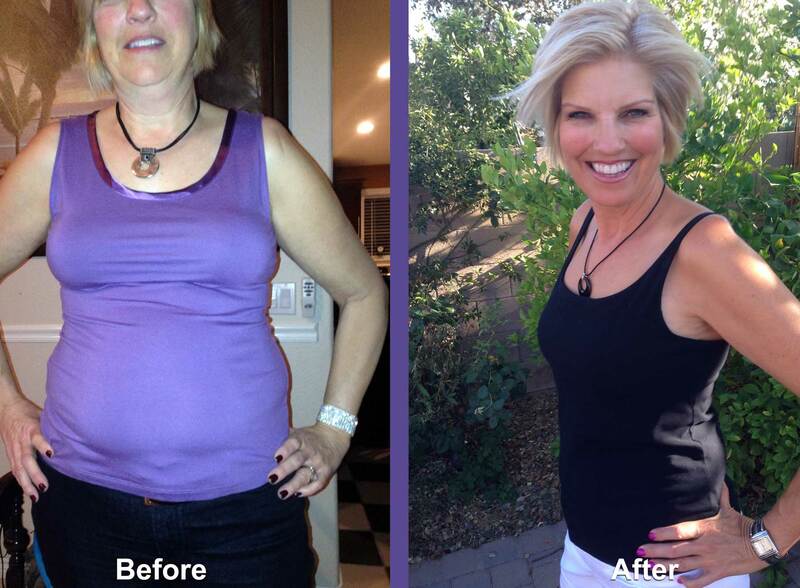 I started the Prolean program after seeing their TV session on AZTV. I had gained 10 lbs each time I went home to NC which was 20 lbs in a month’s span. I started the program mid December and by the end of the program, I had lost 30 lbs. I have been able to fit clothes I would not wear when I was the weight and the size in the past. The difference was that not only did I lose the weight, but I lost FAT! So my clothes fit better because I had lost some fat rolls. Everyone was so friendly and helpful. I am sticking with the program. I have a few more to lose but I will continue until I reach my goal. I love the IDEX scan too because you can see the loss of fat too. I recommend this to anyone who wants to lose weight. Instructions on what to do and what to eat…No guessing. Just follow exactly what they tell you and the weight falls and the lean you comes out or surfaces! I’m in my early 50’s and I’ve never even remotely considered a diet in the past, and although I considered myself a little overweight when I started the ProLean program, losing approximately 20 pounds would have been sufficient. I don’t honestly consider the program a diet – but more of a healthy eating lifestyle, which was really what I needed from a general health standpoint. The dietary changes the first week were a little challenging but not unreasonable, and once the second week started, you feel like you kind of get in a groove and the changes in diet become second nature. I was able to lose about a pound every two days or so, and at the end of 12 weeks, I was down almost 40 pounds and my body fat dropped to 16% from 34% when I started. I was working out with weights before the program and hiked 5-10 miles about 3-4 days a week and I continued to do both during the program. I did not experience any issues while on the program with either weight lifting or hiking. I’m sure this could impact everyone differently depending on his or her levels of exercise. At 6 foot 1, I was probably in the best shape of my life in my 20’s and early 30’s when I was very active and weighed approximately 185-190 lbs. Upon completion of the 12-week program my weight was at approximately 190 lbs. and my lean muscle percentage had actually increased approximately 7% since the inception of the program. My wife completed a condensed version of the program and was able to lose approximately 25 lbs. herself over 8 weeks. As I mentioned previously, I would not consider the ProLean program a diet – but more of a healthy lifestyle. It’s really all about portion control with foods, eliminating the unhealthy foods and exercise. On approximately 3-4 occasions during the 12-week program we had close friends visiting or were on vacation with close friends, and I definitely strayed from the program, but after 1-3 days, quickly got back on track and was able to keep myself on track despite a day or two of cheating. I would highly recommend the program based on its philosophy of a healthy lifestyle and if you remain disciplined, the results are well worth it. After dropping 5 pounds the first week – the healthier lifestyle is a huge motivator. I’m into my 6th week after completing the program – and I’m still in the 188-192 range – and my energy levels are much better than they were when I was carrying around the extra and unnecessary weight. Try it – and Good Luck. And The ProLean team is absolutely great!!!!! Do you want to lose the fat? REALLY?!! Look closely at the DEXA scan that exposes the deadly fat throughout your body. It will inspire and encourage you to get started. To follow Prolean’s instructions means Total Success! You will learn to eat healthier, learn new habits, not to cheat or get bored! This method is safe, fast, and works. My sugar addiction is GONE, I know how to avoid temptation and avoid Diabetes. Prolean’s staff are encouraging and will guide your progress. My experience was so positive that I brag about them daily. Go for it! I started the program with my wife Sandy, around March of 2017. I had been retired from the military for quite some time. While I tried to maintain some sort of physically active routine, a back surgery (L4 and L5 fusion) and a slow digression into bad eating habits took their toll on me. When we started the program, I told myself that I was only doing it because my wife wanted to and I had promised her we wold do it together. But after meeting with Jeff on the first day and getting my body composition scan done, everything changed. when I saw how bad I looked and how much body fat I was truly carrying, I couldn’t lie to myself anymore. I decided then and there that I was tired of being tired and I wanted desperately to get rid of all the extra-large clothes in my closet. Under Meghan’s guidance and the phenomenal eating program they had put together for me. I embraced the new lifestyle change. I won’t say it was easy because I had some real ‘favorite’ foods that were hard to give up. But after the 3rd week, when the weight really began to come off and I actually started to feel better than I had for a long time, I was determined to make it work. By the time the month of May had come around and I made my appointment for the metabolic testing, I was feeling better than I had in years. I had lost over 45 pounds and went from a size 40 pants to a very comfortable 34. I literally ad energy to burn and was enjoying life again. The staff at Prolean literally help me to turn my life around and get back to what I enjoy and I am in better shape now than when I retired. A deep and heartfelt ‘Thank-You’ to Jeff, Meghan and Maria. You are more than friends to Sandy and I. You are family. It’s funny that the picture in the email shows a sign that says Inspiration Point…the people at Prolean Wellness were/are so inspiring! My story begins in April when I weighed in at 192 lbs! Not necessarily an all time high for me. I had recently lost 25 lbs but gained 7 back~ I hit a wall and was having the hardest time losing! Definitely becomes more difficult to lose weight as I’ve gotten older and well @ 47 I’m no spring chicken! That’s when I saw an interview of Jeff and a Vital Solution’s client on Your Life A to Z. I started to research HCG diets and found Prolean Wellness program to be very thorough and effective. 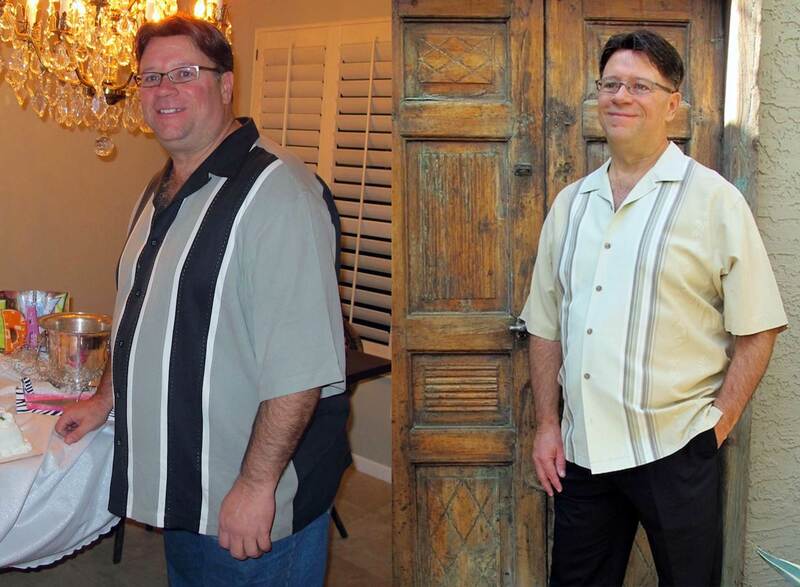 Not to mention the owner, Jeff had lost over 100 lbs! I wanted to do the 12 week program because I really liked all the benefits that came with it! At first I was a little taken back by the cost but they worked with me financially. I put down 1/2 and then made payments for the other 1/2. Really made it easy on me financially! WORTH EVERY PENNY!! !I feel fantastic! The first week or so was tough but once my body got used to eating the specific amount of calories along with the HCG injections it got easier! The weekly B12 injections really helped with energy as well! I was losing at least 5-6 lbs per week! This was really motivating me to stick with the diet! Everyone at Prolean Wellness especially Jeff, Denise and Allie were so helpful and inspiring! Before I knew it I had lost 30 lbs in only 6 weeks! It’s almost unbelievable how fast the weight came off! I now weigh 160 lbs and feel so much better and have a ton of energy! I have to say one of my favorite benefits about the HCG 12 week program was the IDEXA Scan. The body scan gave me a picture of areas on my body that I needed to work on. At the end of the 12 weeks I had another IDEXA Scan showing all my losses/improvements! Amazing results! I’m asked about what I did to lose the weight all the time and I love talking to people about the Prolean Wellness program! I hope to see a few of my friends start the program soon.Thanks so much for the support I couldn’t have done it without Prolean Wellness as well as my family. Lost 41 lbs in 12 weeks!!! Hurray for FRANCINE in Utah! Francine completed this program from another state! 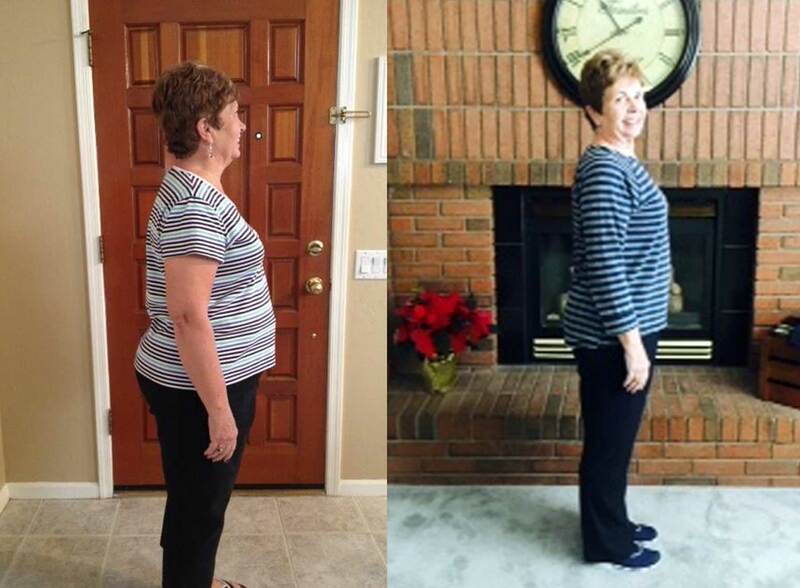 She came in to the office once to meet the doctor and nutritionist, but was able to see this great success through weekly phone calls for accountability! We can help people all over the country! “I think the most important thing I learned was how to eat healthy. I learned how to eat the correct portions, and what foods worked best for my body. I found drinking water has been a key element in my journey to losing weight. I have learned how to change and maintain my lifestyle. I have learned how to control my eating habits and in doing so I have never felt better. I feel healthy and can be more active on a daily basis. When I started my weight was 201.6, I have lost 42 pounds in a 12 week period, and I know I will be able to continue to lose weight and feel healthy and happy by following what I have learned these past 12 weeks. I have lost a total of 48 inches. When I started I wore a size 18 and now I am down to a size 10. I feel wonderful! As the CEO of The Mahoney Group,I am always searching for better and more effective ways to help my corporate clients manage their liabilities and their risks. It is more critical now than ever that we provide new and innovative answers to emerging risks that clients are encountering. I was fighting with the last 20 pounds….I would lose it and gain it slowly back sometimes not-so-slowly. I tried HCG both supervised and unsupervised…hypnosis…starvation….nothing lasted very long and here comes the 20 pounds or so. Until one day getting ready for work…I saw Jeff on TV and he was talking about the Prolean Program. He explained how they deal with the whole body…blood tests…fat and muscle scan…bone density scan…nutritional counseling…physician consultation…in other words, the whole body. The statement that made me think this was right for me was that we could come back even when our program was over…we became part of a family and have accountability…the thing I need. Something inside me said “Call!” “This is it!” So I called and 23 pounds later…I actually bought size 4 pants! Thx so much my Prolean Family! My overall opinion of the program is that it is really great! I lost 36 pounds in 12 weeks and my BMI went down significantly. I followed the plan exactly and got the results that were promised to me. I was not tired, overly hungry or irritable during the entire program. Also, my blood pressure is down to normal so I am hoping to be off the meds for high blood pressure soon. I learned a lot about nutrition and exercise including not just what to eat, but when and what to eat together for maximum weight loss and also with the post program testing, I learned what my target heart rate during exercise should be for maximum fat burning. It’s been 2 weeks or so since I completed the program and because of everything I’ve learned, I have been able to continue to eat healthy. As a bonus, my husband also lost 12 pounds because I have been cooking healthier meals for both of us. The owners Jeff and Celeste and their staff are very knowledgeable and they all are very nice people – very helpful. I would highly recommend the program. “No! I can’t believe I need another diet!” That was the attitude I had when I first went to Prolean Wellness. I have been on every diet out there. I have lost and gained back the equivalent of several people! So you could say I was quite skeptical when my husband and I went for my initial meeting. My husband and I listened to the details of the Elite Program and I joined immediately. We went home and by the next day, my husband, who had his own weight problem, got excited and decided to join as well. I have to say, I have been so very pleased with my weight loss, the way the dietician taught us to eat, and especially the staff at Prolean. Jeff really got us on board with the program from the beginning. Each week we were greeted by Tiffiny with a big smile. We have found that it is a pretty easy program to follow and as good as my weight loss is, my husband has doubled that amount in the same amount of time! He has not been this thin in 20 years! To all of you who may be skeptical or think that you have tried every diet imaginable, and believe me I have, this is your Vital Solution!! I had dieted my way to over 200 lbs. Each attempt was initially successful but in the end I would gain back the weight plus some. I know that I am not alone and that many of you have had the same results. I had given up and just decided to “live” with it until a co-worker told me about Prolean Wellness. She joined about 3 weeks before me and was losing weight daily. Her attempts at Jenny Craig had netted no positive results. Most plans where you purchase the food cost between $80.00 — $120.00 per week and you have to buy your own vegetables, fruit, and dairy. There is no food to purchase with Prolean Wellness, you learn what foods to eat in the correct amount so that you lose fat NOT MUSCLE. This is important since muscle burns fat! Prolean Wellness provides you with a program to meet your specific needs to obtain optimal results. After my consultation I went to Senora Quest Laboratory for my scheduled blood work-up and met with Dr. Burns to discuss the results.She made recommendations for supplements, having a Physician on-staff is very important. For years I thought that there must be a problem with my thyroid levels but the standard work-up that most physician’s schedule show the results for the T1 and T2 thyroid levels and mine were normal. My scheduled blood workup was also for the T3 thyroid results, and mine were below normal. Dr. Burns recommended adding a daily Iodine supplement. All recommended supplements are specific to YOUR needs. I know that many people are skeptical about giving themselves daily injections, but really you don’t feel them, there is no bleeding etc., the needle is tiny. I never thought I could do it, but it was easy and made me feel like I was doing something for ME. That I was worth it! I lost an average of 1 lb a day and continued to lose after the initial 12 weeks. I lost a total of 35 lbs and have only gained 5 back. I started my program on April 2nd 2009 and today’s date is July 18th 2010.I have more energy and feel good about the way I look. I no longer avoid people that I haven’t seen in a while. I used to do that because I was self-conscious about the weight that I had gained. Once you learn the foods to eat in the correct portions you can continue with this diet, AKA Lifetime Eating Plan, for the rest of your life. No more paying for diet pills, eating plans, and expensive pre-packaged food!!!!! I would do the program again in a New York minute, and plan on going through for another 6 weeks in the near future. The staff at Prolean Wellness is knowledgeable, friendly,and genuinely care about you and your success.Thanks again to all of them for their amazing program!!! My journey at Prolean started as a result of watching Jeff on Channel 12 talking about the merits of the program. What caught my interest was that the Prolean program was designed specifically for the individual and the individual’s needs as a result of the testing that was included in the program. I liked that this program recognizes the “one-size-fits-all” does not work. I found that to be successful on this program does require complete commitment. I chose to embrace the program as it was designed for me. Now, 12 weeks later, I am thrilled with my results! I have reclaimed the person that I knew before 13 surgeries took their toll on my body. I could not be happier with my decision and my results. After seeing pictures of myself fat my daughter’s graduation in May, I became determined to lose the weight – for the last time! I happened to catch a segment on Sonoran Living and liked what I heard. My husband was supportive and went along with my plan. We both have become more accountable in our exercise routine and eating habits. I also like the overall care – nutrition, exercise that is individually prescribed. I had been doing water aerobics and hiking for months with NO RESULTS and just getting disappointed. My husband and I have both lost 10 pounds each. We are embracing our new lifestyle and vow to maintain it. I am a 51 year old female who wanted to know the good, the bad and ugly of my body. Prolean from the first visit gave me hope that I could find the answers I needed and more importantly make the necessary changes for my body. Prolean provided the detailed information tailored for me to achieve my goal and I just needed to follow the plan. The knowledge of staff and their products made a true impact and difference. The change in the core me to better health I witnessed in each phase of the program. Prolean was available everyday and every week to chart, keep me focus and make any adjustments as necessary. I was a former athlete in my youth, and was still active but felt sluggish until I entered the Prolean program. As I lost weight my body image became alive and active even though I had a challenging work schedule. My weight loss of 27 pounds was all fat equating to almost 20 % total fat loss. I was wearing a smaller “fat jacket” and smaller size clothes with no muscle lost. Shrinking my “fat jacket” felt uplifting. It has been over 6 weeks and I am maintaining my weight loss, but more importantly enjoying my lessons of portion control and healthy food choices and a big NO to process food. I no longer crave sugar or diet coke and enjoy more vegetables. The battle for your health is a choice and Prolean is one great tool to help you in your path to healthy weight loss for good. Trust in them and their program to attain a more healthy you naturally. Their vitamins and minerals had no side effects or falsehoods. Prolean is a friend for life. Meghan is so professional and kind and understanding. Her knowledge of food and supplements is amazing. I have been taking supplements for decades and some of the wrong ones and too much. She also taught me to take a food out of my diet to see how I felt by eliminating it. I definitely had a surprise with the results of that with my inflammation. It’s been such a pleasure and as well as a surprise to have been with Prolean. My health is amazing. So is my 30 lb weight loss. I am so happy I went to Prolean Wellness. I lost weight and inches, from 160 pounds to 136 pounds, from size 12 to size 8. Amazing! The knowledge I obtained as to what to eat and when to eat and what supplements to take was immeasurable. Dr. Dunn was so informative explaining everything found in my blood tests. She went over the results and what supplements I needed and WHY. She even suggested a website where I could order them myself. My experience at Prolean Wellness was extremely rewarding. They have an amazing staff that are so helpful and answer any questions you may have. *Results are not guaranteed, and vary from person to person.